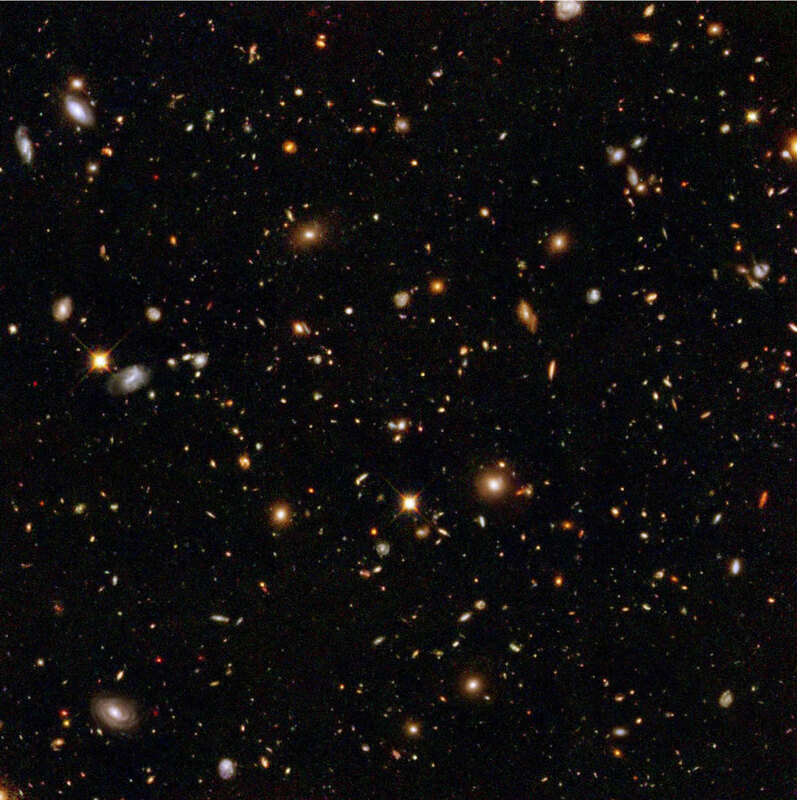 Here's a picture of 10,000 galaxies. For reference, the Milky Way galaxy (our galaxy) has about 200 billion stars, so the photo of 10,000 galaxies includes several trillion stars by even the most conservative of estimates. All told, there are approximately 10^24 stars. The photograph of 10,000 galaxies is a magnification of an area about 1/10 the diameter of the moon, from our perspective. Next time I say it's a long drive to New Hampshire, somebody hit me.